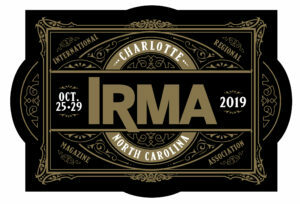 NOTE: You must be a member, sponsor, or authorized guest of IRMA to attend the conference. If you have any challenges while completing the registration, please contact Tara Flint, Executive Director, IRMA, 416-705-6884, info@irmamagazines.com. Click on SUBMIT below and you'll be taken to the PayPal secure page to complete your registration payment. If you've omitted required fields, you'll be returned to this page to fill out those fields before progressing to the PayPal page.